Manchester United won their eighth game on the trot under the management of Solskjaer by beating Arsenal in the FA Cup on Friday night. 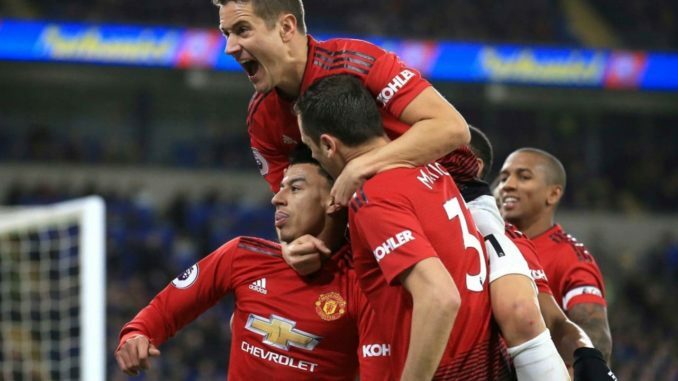 The Red Devils are in red hot form at the moment and they should be considered favorites to win when they collide at Old Trafford against Burnley in the Premier League tomorrow night. The Clarets are currently 16th in the table, only three points above the relegation zone. As far as Man United’s team news is concerned, we can expect the Norwegian boss to make five changes in the starting XI that featured vs the Gunners. Expect Martial and Rashford to return to the starting XI by replacing the likes of Sanchez and Lukaku. In the back-line, Phil Jones should replace Eric Bailly to start in the central defense with Lindelof. Veteran Young should be rested and in his place Dalot should start in the right back position. In the goal, Romero did well vs Arsenal but De Gea will likely replace him to face Burnley. Here is Man Utd’s strongest possible 4-2-3-1 XI vs Burnley.